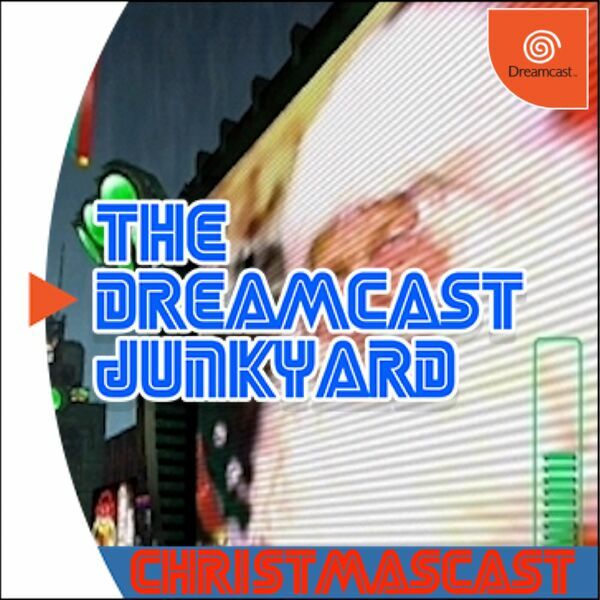 Christmas is here, so join the Dreamcast Junkyard DreamPod team for a festive knees up! Tom, Rob, Aaron and Caleb convene once again to get in amongst the nitty gritty, and are joined by a special guest in the form of a gate-crashing Santa Claus with an incontinent reindeer. If that alone doesn't make you want to tune in to DreamPod 21: Christmascast, how about this: The team discuss their latest purchases on Dreamcast, Saturn, PS4, Wii U, Vita and Steam. Pier Solar also gets a small mention, while your hosts reveal which Dreamcast items they'd like for Christmas if money were no object. Elsewhere Rez on PS4 is discussed (along with the odd vibrating bodysuit), Caleb reveals a bizarre incident with a Virtual Boy that almost ripped his family apart, and Tom insults the entire city of Liverpool (again) with a stunningly bad scouse accent impression. Other topics tackled include the Dreamcast Junkyard Ultimate Collectors Guide being removed from sale at the request of Sega Europe, and the absurdity of the Dreamcast 2 petition going around the internet at the moment. This is another packed episode of the world's greatest Dreamcast podcast - you'd have to be a festive fool to miss this latest episode!